The Group has the only National Engineering Research Center for Antibody Drugs (CMAB) approved by the National Development and Reform Commission. Members of the CMAB Academic Committee are all composed of authoritative academicians and well-known experts. We established 4 major R&D bases in Shenyang, Shanghai, Shenzhen and Hangzhou, successfully building the dual platform for biological and chemical drug, covering the whole process of drug development, ranging from basic research, pre-clinical study, and clinical trial to new drug registration and marketing. The Group has more than 30 listed products, 25 products under development, among which, 16 are national class I new drugs. They mainly cover oncology, autoimmune diseases, nephrology, metabolism, dermatology and other related areas of treatment. The Group has applied for a total of 285 patents for invention. Among them, 100 valid invention patents are granted. A total of more than 40 state-level major projects have been undertaken, such as “863”, “973” and Projects for “Significant New Drugs Development” of Ministry of Science and Technology of the People´s Republic of China. 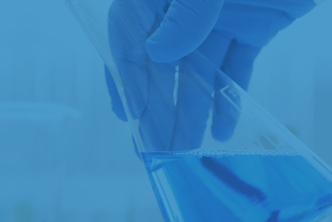 We have three R&D platforms, including two protein-based biopharmaceutical platforms (a cellular platform for mammalian expression system and a platform for bacterial cell expression system) and a chemical platform. Platform for mammalian cell expression system. Through this platform, we develop biopharmaceutical products expressed in mammalian cells. Our core products, EPIAO and TPIAO, are developed through our mammalian cell platform. In addition, we use this platform to develop monoclonal antibody drugs. Platform for bacterial cell expression system. Through this platform, we develop biopharmaceutical products expressed in bacterial cells. Our early products, Intefen and Inleusin are developed through our platform for bacterial cell expression system. Chemical platform. 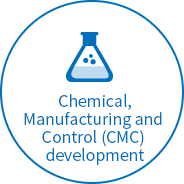 Through this platform, we mainly cooperate with third-party companies and research institutions to develop chemical drugs. Identify and select molecules that have drug efficacy and market potential. Include process development and control, structural verification, quality standards and stability studies. All of these studies are conducted in accordance with regulatory guidelines to demonstrate that product quality and manufacturing processes meet sufficiently high standards. Analyze the efficacy and safety of the product under study on animal subjects to guide follow-up clinical trials. Research institution. The research institution specializes in the development of biopharmaceutical products expressed in mammalian cells and bacterial cells and is the main unit responsible for our internal pre-clinical R&D. External cooperation department. The external cooperation department mainly focuses on identifying companies that possess promising chemical and pharmaceutical products and monoclonal antibody drugs, and is the main unit responsible for cooperative pre-clinical R&D. Clinical department. 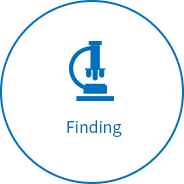 The clinical department is responsible for designing and managing clinical trials. Registration affair department. The registration affair department is responsible for registering our products to the CFDA and supervising research and development projects to ensure compliance with relevant Chinese regulations in the development, registration, and commercialization of pharmaceuticals.